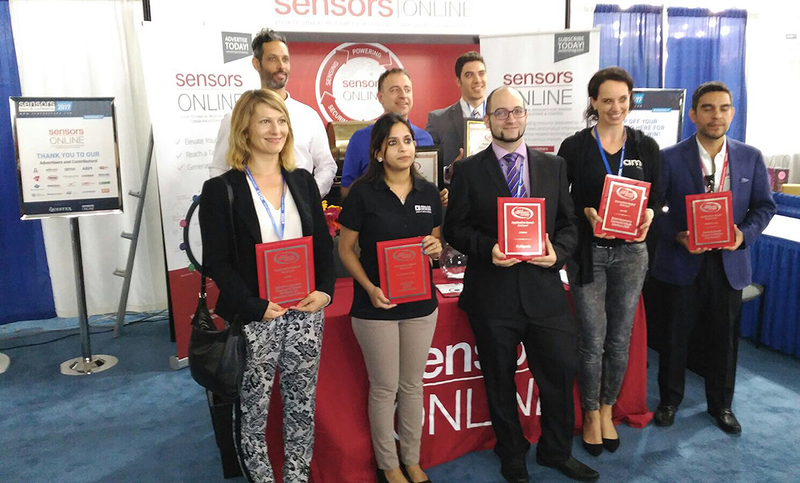 The organization of Sensors Expo & Conference and Sensors Online magazine, where Libelium has been exhibiting between 27th and 29th of June, has announced the 2017 Best of Sensors Expo winners. MySignals, the revolutionary eHealth platform, has got the highest recognition, Gold Level, of the Application Award. These prizes are designed to spotlight the advances in both innovations and real-world applications of sensors. The prestigious awards were presented on Wednesday, June 28th at the 2017 event by Executive Editor of Sensors Online, Mat Dirjish. MySignals was recognized with the Gold Level of the Application Award as the most innovative and disruptive solution. The aim of the eHealth device is to improve the future of health services to cover one of the main challenges of the century: enhancing the universal accessibility to a healthcare system for more than 2 billion people worldwide. 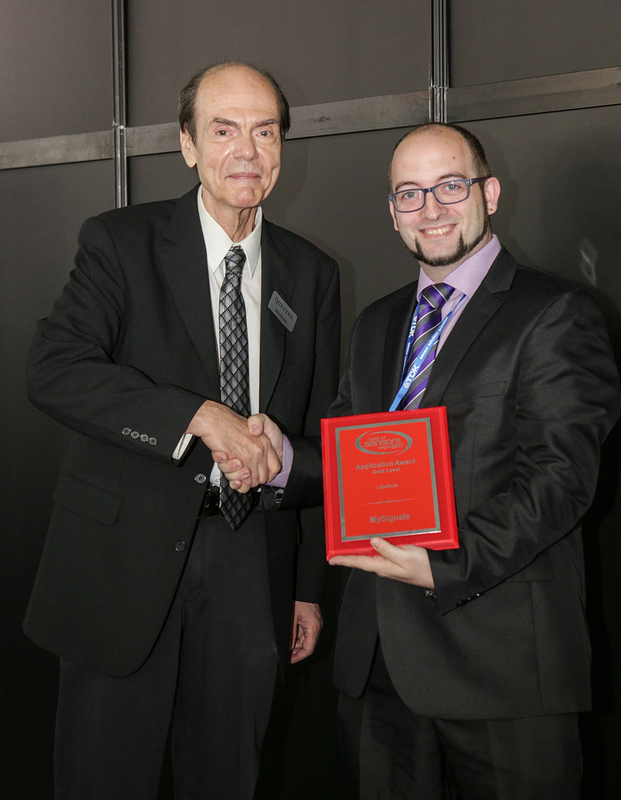 David Bordonada, Libelium Key Account Manager of Online Channel and Channel Sales America, receive the award from Mat Dirjish. The sensors media highlighted the broad range of possibilities that MySignals provides for eHealth sector to develop medical products and applications. “We congratulate all the winners of the Best of Sensors Expo awards and applaud their innovative application of sensing technology to solve real world challenges”, said Mat Dirjish. “It is an exciting time for this market and we are grateful to showcase the incredible talents of today’s engineers catapulting the sensors market to the next level”.